WPTI’s Board of Director continues to grow and add members that will help our organization grow and provide value to the workforce development field. Our newest Director brings years of executive coaching and organizational development experience that will be essential to our programs and operations teams. Raabia Shafi is the Founder of Raabia Shafi Consulting. Harnessing over 15 years of experience in directing multi-national leaders in the structuring, selling, and implementation of new business ideas and global crisis management, Raabia applies her signature consulting approach to design and implement strategic engagements that drive profitability and productivity for clients across multiple industries. Her consulting services include in-depth organizational exploration and analysis, policy restructuring, recruiting and onboarding programs, and executive level leadership retreats, leadership development workshops, and coaching – all driven by her commitment for generating top- and bottom-line returns via cultural transformation. Raabia builds trust, listens intently, and develops meaningful solutions that embrace design thinking and adult learning principles. She synthesizes findings from interviews, observation, and end-user simulations, crafts purposeful narratives that clarify the impediments to organizational performance, and then leads collaborative sessions that transition stakeholders from splintered perspectives and ways of operating to alignment. 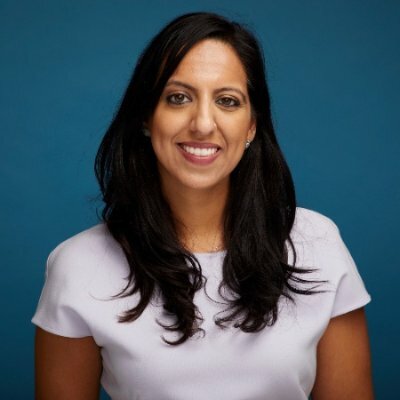 Prior to starting her own consulting firm, Raabia directed client engagements for the consulting arm of Danny Meyer’s training company, Hospitality Quotient, where she helped leadership teams across more than 20 industries build and sustain their strategic visions for enhancing the customer experience by changing the employee experience. Raabia’s broad professional background also includes her role as a learning strategy consultant for Booz Allen Hamilton, during which she supported senior ranking U.S. military and intelligence officials to execute missions related to humanitarian disaster relief, military combat stress management, suicide prevention, cross-cultural competence, and national security crisis simulations. Raabia received a Bachelor of Arts with honors from the University of Virginia, where she studied History and South Asian Studies. She received her Master of Arts in History at the George Washington University with a focus on U.S. foreign policy, as well as post-graduate coursework at George Mason University. She has completed master facilitation courses with Langevin Learning Services and design thinking labs and boot camps with the Hasso Plattner Institute of Design at Stanford, The Design Gym, and Booz Allen Hamilton.